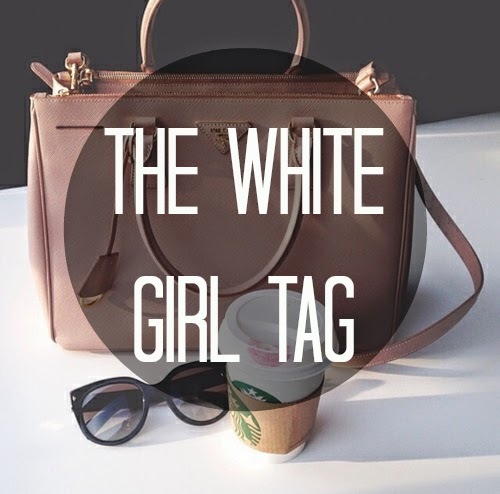 The White Girl Tag | RAWR BOWS. Hmmm... unless I'm going to a very fancy party or something 'special', it takes me around 30min to get ready. If Snapchat selfies count then quite a lot, if they don't then not many, 1 or 2 maximum. How many IG followers and pics do you have? I have 388 followers and 494 pics. I know, I have a lot of pics but bearing in mind that I've had Instagram since 2011 (when it was only available for iPhone... I feel old) i think it's okay. Do you ever say “LOL” or “OMG” out loud? 19.9k... I am quite addicted to Twitter. Well, I am addicted to most social networks. I can't choose, I love them all equally. I don't check Tumblr as often as Twitter or Instagram but when I do I can happily spend hours scrolling. Meghan Rosette, Aspyn Ovard, Claudia Sulewski, Bethany Mota, Zoella, Tyler Oakley, Joe Sugg, Meredith Foster.... and MANY more. Probably every other day... sad but true. Yes and no. I don't think I buy A LOT, but I buy a decent amount of stuff. I buy more than what I need but I don't go extremely crazy. I don't know, too many times. YES, mainly t-shirts and high-waisted shorts. Only if the food looks nice, or if I'm eating something weird. Yes, unless I'm staying home all day. This year I've only done an exam so far so I don't know (I have finals in three weeks, so I'll know by then). However, last year my average was an A.
I don't style it, I like my crazy hair to be free and messy. Hehe such a fun tag! !